Yes, I would like to receive emails regarding new products and special offers. 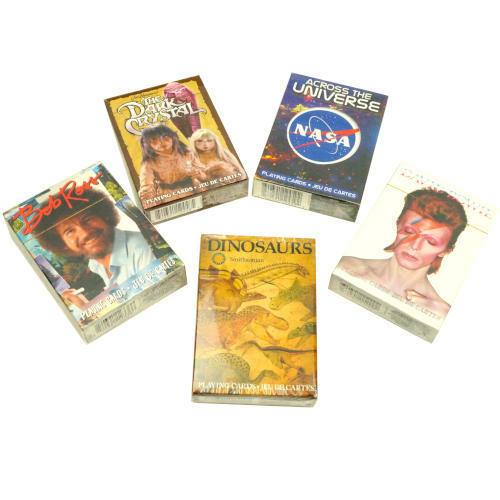 Don't trust yourself to keep on top of all of the unbelievable deals at American Science & Surplus? Sign up for our regular emails full of special deals and events and you'll never miss another one. CHOKING HAZARD-Small Parts. Not For children under 3yrs. 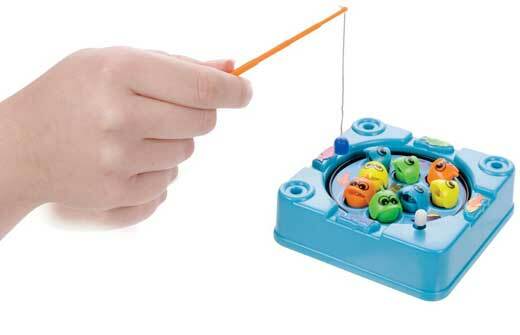 No wires, no batteries. 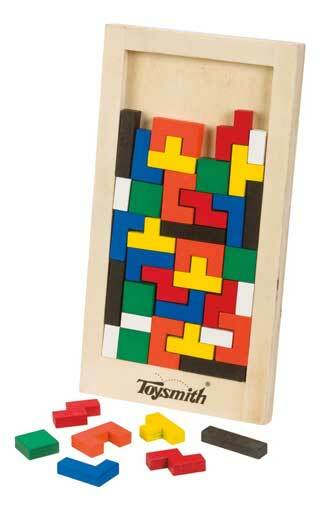 Amaze your kids with this actual wooden puzzle. Semi-Tetris-ish, with (40) pieces that will take them a week to fit back into the 10-1/2” x 7” frame, and can also be used to make a bunch of different things. 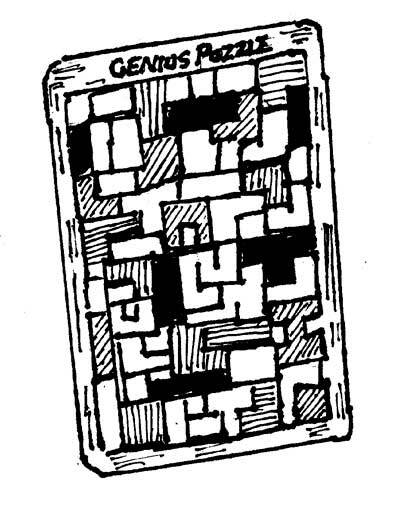 Called the Genius Puzzle, probably for reasons listed above. For ages 6+. Fill out the following fields with your email address and the address of the intended recipient as well as note you would like to leave. Is That A Puzzle In Your Pocket? Imagine a game app, but in wood. Measures 6” x 3-1/4” x 3/8”, like an iPhone 6-Plus, but you never have to charge it and there’s no glass to break. 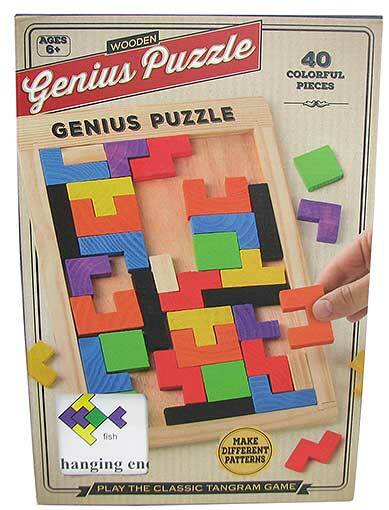 Has (42) colorful geometric shapes in a wooden frame, and all you have to do is take the shapes out and try to fit them back in again, which is harder than it sounds, but that’s what puzzles are for. It's nice to know that some things don't change. One is the Jacob's Ladder. Still made with (6) slabs of wood, each about 2" x 2" x 1/2", each a bright combination of colors, and all connected by a contrasting ribbon. Hold one end up and let the string of slabs dangle. When you flop the top block end for end, each lower slab in turn will flop end for end. Fascinating. Particularly if you are about 5 to 9 years old. Our each is a standard set of (28) cream-colored, black-divot dominoes, sized 1-7/8" x 15/16" x 5/16" thick. 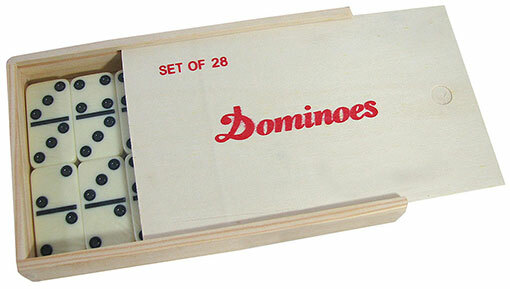 Includes a wooden case and a tiny sheet with the rules for Double-Six, one of the endless popular domino games. Bored with looking at bicycles on the back of your playing cards? Sick of that one-eyed jack and the king with the ax? Add a little fun to your gin rummy with these full-tilt theme cards. Regular 52 decks, plus jokers, poker size, but with some of your favorites on both the backs and faces. You pick: Bigfoot; Harry Potter and friends; Bacon recipes galore; or a whole kennel of Dachshunds. Could be more fun per pound than any wind-up game in the warehouse. Crank it up and the mini-pond rotates while (8) sharks open and close their mouths, and up to (3) fisherpersons try to drop their magnet hooks into their steel fishy mouths. Measures 3-3/4” square. Much harder than it looks, and more fun than a barrel of fishies. The draw-it-yourself jigsaw puzzle, just begging to have an invitation written on it, and then be mailed to potential guests as a handful of pieces. 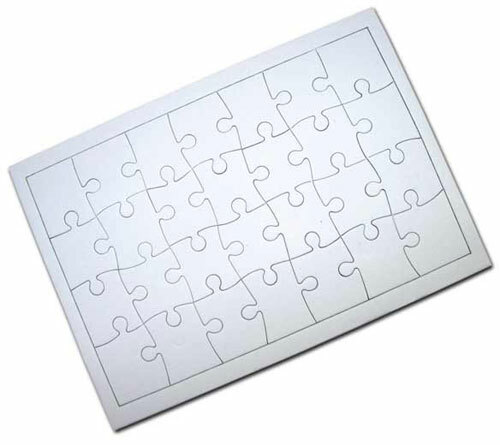 But this 28-piece cardboard puzzle also measures a desktop or car-friendly 6-3/4" x 4-3/4" in plain white, so it's also begging to have kids add a picture for the fun of it. It's even suggesting that you mix the 336 blank pieces in a pile, explain it's a dozen pictures of an albino moose in a snowstorm puzzle, which it might very well be for all we know, and award a prize for the first finished puzzle. Note the classroom and party-friendly bulk price. Half of the best stuff in the world comes in a can; the other half comes on a stick. (It’s true, don’t argue with us.) Now you get to pick from two kinds of canned fun, both in 5-5/8” x 4” x 2-1/4” deep cans with hinged tops. You pick. 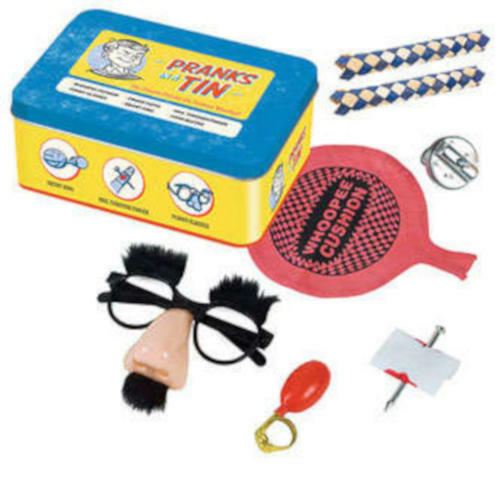 The Pranks in a Tin has straw finger traps, a whoopee cushion, nose & mustache glasses, a joy buzzer, the nail-through-finger trick with a bloody bandage, and a squirting ring. Go make a pre-adolescent happy. 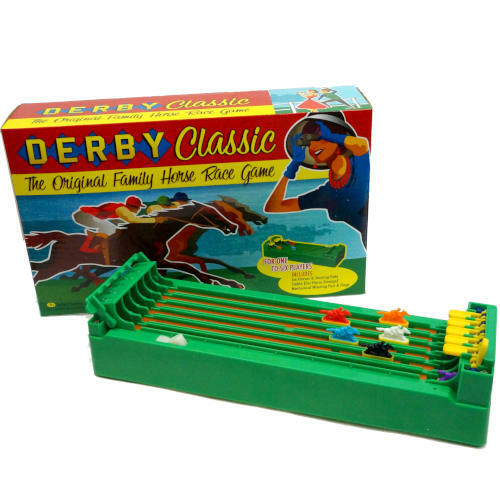 The Classic Games tin holds a standard deck of playing cards, rubber ball and (10) metal jacks, tiddlywinks with a small felt pad, (30) pick-up sticks, and (5) shooters plus (30) smaller glass marbles, and not an electronic game in the bunch. Numerate, are you? 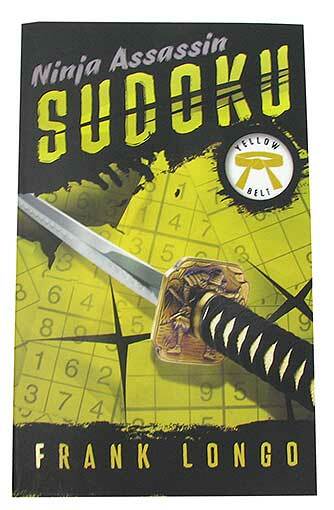 Find out with these Ninja Assassin Sudoku books of (248) puzzles--(2) per page, plus solutions--in 176-page paperbacks. 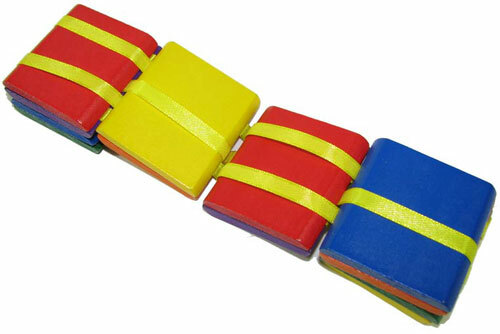 You pick the White Belt (entry-level to medium), Yellow Belt (easy to easy-medium), or Green Belt (easy-medium to hard-medium). By Frank Longo from Puzzle Wright Press. Best part is you can ignore the $6.95 cover price. New Sudokun hope for the English major or art student in your life. 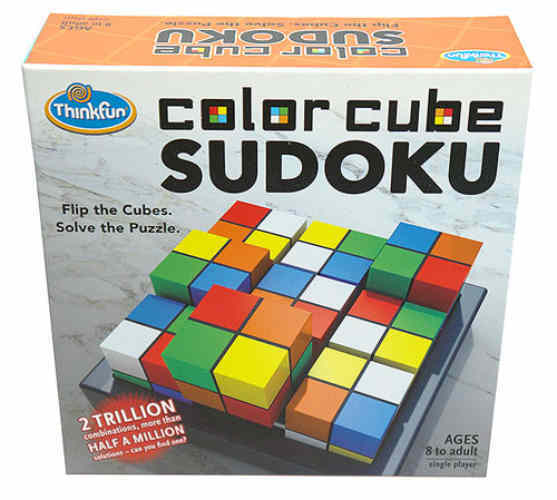 This clever, non-numeric Sudoku puzzle uses colors instead of numbers on the (9) 2” cubes with 1/2” squares. Position them in the tray so that no two colors are adjacent, and you win. Has two trillion (2,000,000,000,000) combinations and over 500,000 solutions. For ages 8 to adult, but frankly we don’t know why. 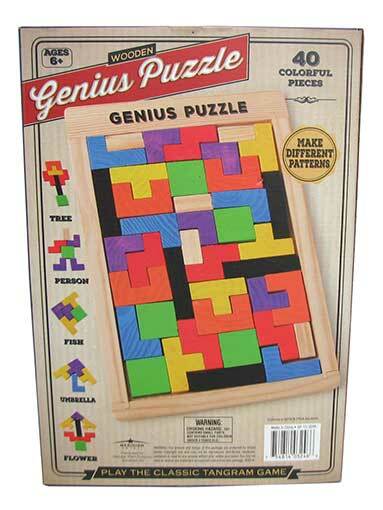 From ThinkFun®. For store hours, phone and directions, click here.